Discussion in 'Tech Help' started by Lewis, Oct 26, 2014. There are quite a few questions surrounding the Toyota Immobilizer system that customers ask us. In this thread we will try to answer a few of them and explain the system in general. The engine immobilizer is a state-of-the-art anti-theft system. When you insert your key into the ignition switch or bring a Smart Key fob into the vehicle, the key transmits an electronic code to the vehicle. The engine will only start if the code in the transponder chip inside the key or Smart Key fob matches the code in the vehicle's immobilizer. Because the transponder chip is embedded in the key or Smart Key fob, it can be costly to replace. If you lose a key or Smart Key fob, your Toyota dealership can help. Alternatively, you can find a qualified independent locksmith to perform high-security key services by consulting your local Yellow Pages or by contacting Associated Locksmiths of America. Can I Bypass or Disable Toyota's Immobilizer system? Does the Immobilizer System effect my headlights or Horn? No. The only way that the Immobilizer System effects your Toyota vehicle is in starting the engine. If you hear the horn or see the car lights flashing then you have a separate alarm system installed on your vehicle. We see this problem most often after a battery went dead or was replaced by the customer. Replacing a vehicle battery will not effect the Toyota Immobilizer system in any way. Can I turn the "Blinking" security light off? No. The immobilizer security warning light blinks to act as a warning to potential thieves to move on to next vehicle as this one is secure and cannot be stolen. Here are two videos that help show the blinking red light and how the Immobilizer System is activated and deactivated . The first is of a "Standard" key while the second video shows a "Smart" key. I lost my keys. How do I obtain a new key? 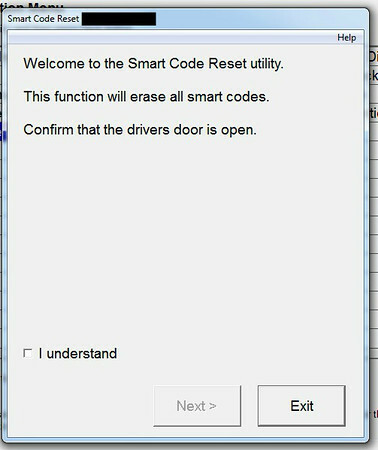 If the vehicle has an immobilizer system (built-in computer chip in the key), then the vehicle's computer will need to be programmed with a dealership scan tool to authorize the new key to be able to start the engine. A new key can be obtained from your local Toyota dealership upon presentation of photo identification and proof of ownership. The dealership will need your Vehicle Identification Number (VIN) and the vehicle has to be present at the Toyota Dealer. The Dealer will perform an "All Keys Lost" procedure that will erase all previously registered keys and will program the new key for you. This can provide you with an ease of mind that your vehicle is secure once again. *** Older Toyota vehicles had the Immobilizer codes permanently registered into memory so the only way to get the vehicle started is to replace the Engine ECU with new keys. Toyota has a CSP (Customer Service Program) in which your local Toyota Dealer can, with proof of vehicle ownership, order you a new Engine ECU free of charge. You must pay for the new keys, installation of the computer and to register the keys to the computer. The PANT bulletin # is 2012-042 rev 1 (old PANT bulletin # 03-09) The vehicles included are..
*** The CSP (Customer Service Program) noted above has been discontinued and is no longer available. My 04 Sequoia randomly decided to go immobilized and won't recognize the master key. I can unlock but not start it with the "gray" key. Is there a solution other than paying a ransom to a dealer? I am having trouble with my 2008 fj cruiser, when I purchased it I’m not sure if the previous owners installed the alarm or it’s a factory. I’m having trouble starting it sometimes it will take 15/20 minutes to turn on and others on the second try. The alarm it has is the Silencer Security system 8900 series vehicle immobilizer. Can someone please give me some feedback on this alarm, I’ve googled it to no avail. I want to disable it.